Since I didn’t have time to post a making of yesterday, you’ll get two today. 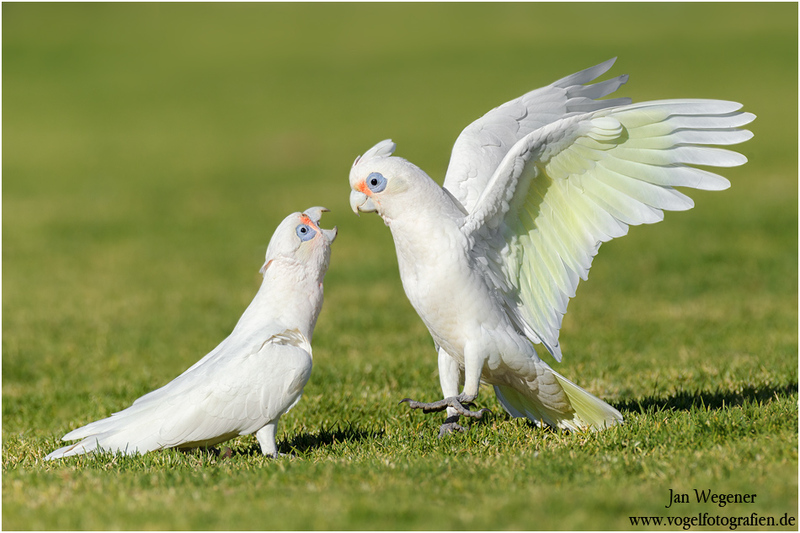 Both will show Little Corellas (Cacatua sanguinea). At the end you’ll find a little video as well. 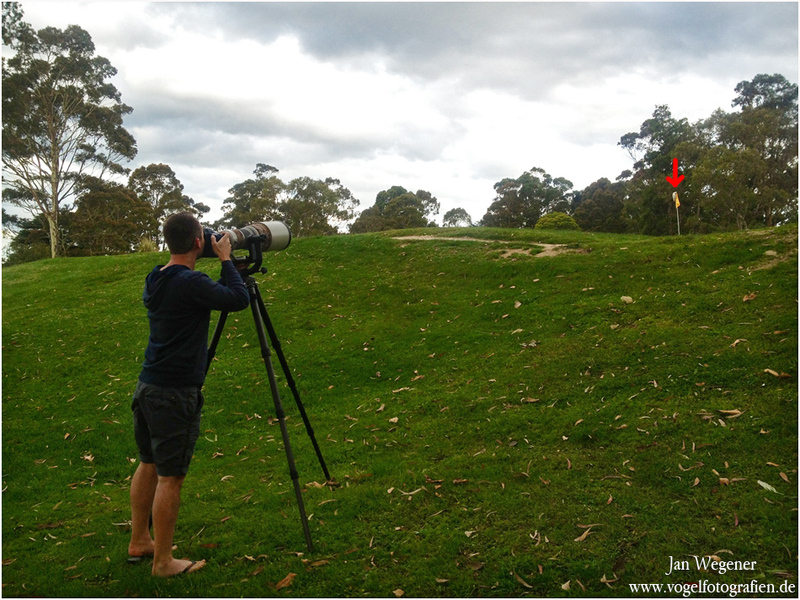 The first making of shows me in a park in Perth, Western Australia. 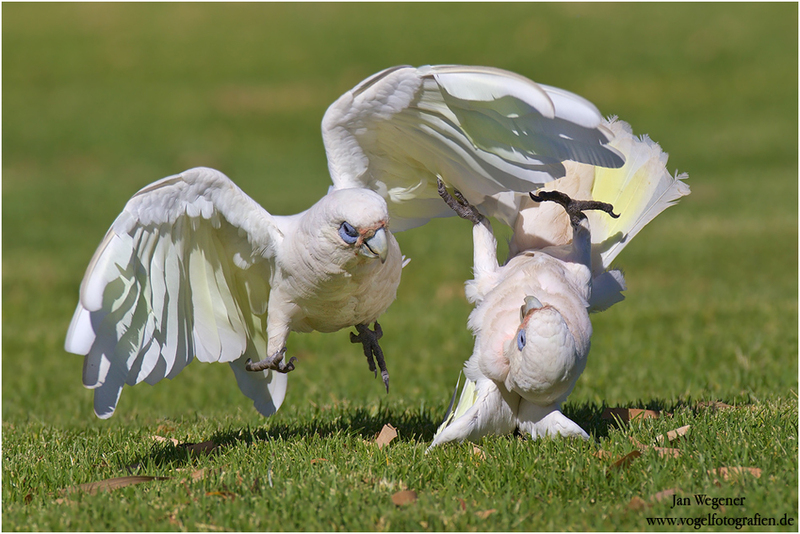 I found a large flock of Little Corellas feeding on the ground and noticed that two particular birds just wouldn’t stop fighting and playing with each other. I slowly approached them and got a few nice action shots. 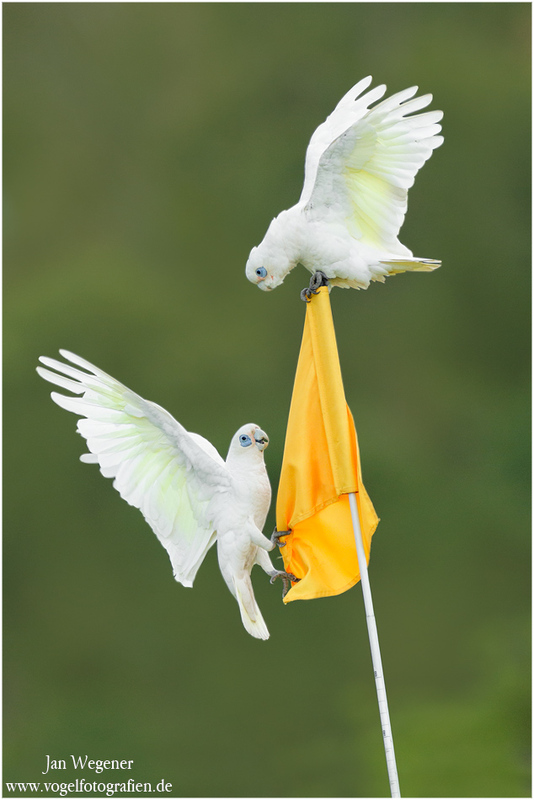 One Cockatoo even made a back-flip! As you can see (well, not really) my tripod was relatively high. Why’s that? When you look closely you can see how the background gets quite ugly at a certain height (bins etc), so I had my tripod a bit higher to have the smooth grass as my background. Here’s the making of first. The background was really hard to work with and didn’t allow for fast shutter speeds at all, which made it really hard to photograph. At last I found a certain areas where I could use a green distant tree as my background, which worked out okay. and at last a video showing all the action!